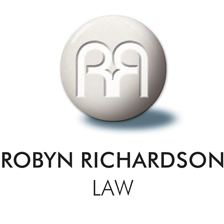 Robyn Richardson Law is a boutique Criminal Law practice with a Sydney-wide reach. Why Choose Robyn Richardson Law to represent you? At Robyn Richardson Law you will meet with a highly competent Criminal Defence Lawyer who has experience both in defence and prosecution within the New South Wales criminal justice system. Robyn Richardson is an Accredited Specialist in Criminal Law and in 2017 was recognized in the Doyles Guide as a Leading Criminal Defence Lawyer in New South Wales. Robyn Richardson is dedicated, compassionate, and ready to help all those who are currently dealing with criminal charges in New South Wales. Do I need a Criminal Defence Lawyer? When a person is arrested or is under investigation for a criminal offence it can be difficult to know what to do. The police may have told you that there is no hope of avoiding a conviction and you will be treated more leniently if you admit guilt and talk to them or participate in an ‘ERISP’ (Electronically Recorded Interview of a Suspected Person). The police may even tell you that you don’t need a Criminal Defence Lawyer. Don’t take their advice. Call us, you won’t be charged for an initial phone conference whether you’re at home, on the road, or under arrest and in custody. You may feel that the criminal charges you face are so serious that you feel there’s no way to avoid going to gaol. It is important to remember that you always have options. With an experienced and hard working Criminal Defence Lawyer by your side you can fight the charges. Robyn Richardson can fully investigate your case in order to determine what can be done to protect your rights. Whether this is your first criminal charge or you are facing very serious charges, we can still work to gather evidence and witness testimony on your behalf and develop an effective legal strategy that generates the optimal outcome for your case. We will always work tirelessly to achieve the best possible result. Contact Us today to discuss your criminal charges with an experienced and determined Criminal Defence Lawyer. Robyn Richardson, the Principal of the firm, is extremely determined in her attitude and exceedingly focused in her attention to detail. Robyn is a passionate Criminal Defence Lawyer with a deep sense of compassion for her clients. Robyn’s greatest desire is to win your case.